My name is Seokin Yeh. I enjoy relaxing in the company of friends. My favorite activities are martial training and music. Charlie Chaplin is my role model for his comedy and non-comformist views. 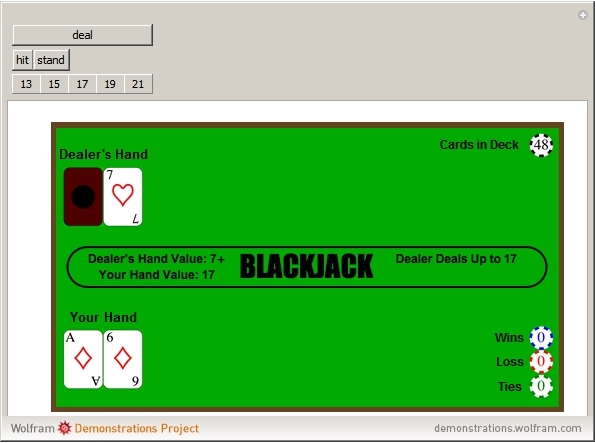 This project runs a simple single player blackjack. The goal of the game is to add your hand up to 21 without going over. Press deal to begin.